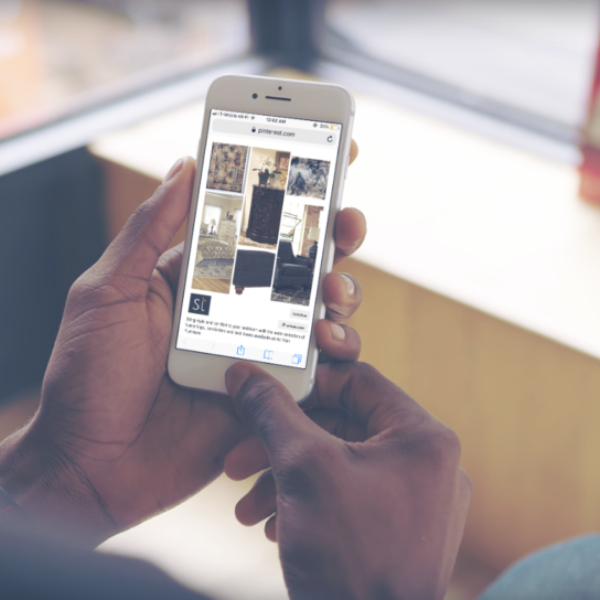 Shoptelligence today announced the launch of its AI-powered Interactive Ensembles technology for apparel and furniture retailers. The SaaS offering has been proven to increase average order value (AOV) by 66% across initial deployments – enabling retailers to merchandise their entire catalog at scale and maximize every customer interaction across channels. The patent-pending technology blends deep product understanding, stated and learned shopper preferences and style intelligence to dynamically create contextual cross-category rooms and outfits around each item in a retailer’s catalog. Shoptelligence makes it easy for shoppers to discover coordinating items in context that meet their shopping objective while boosting retailer revenue, AOV, site engagement, and customer loyalty. The technology understands style and how products are used together and continuously learns by analyzing shopper engagement to move beyond traditional, same-category recommendations and provide a rich style and objective-based shopping experience. 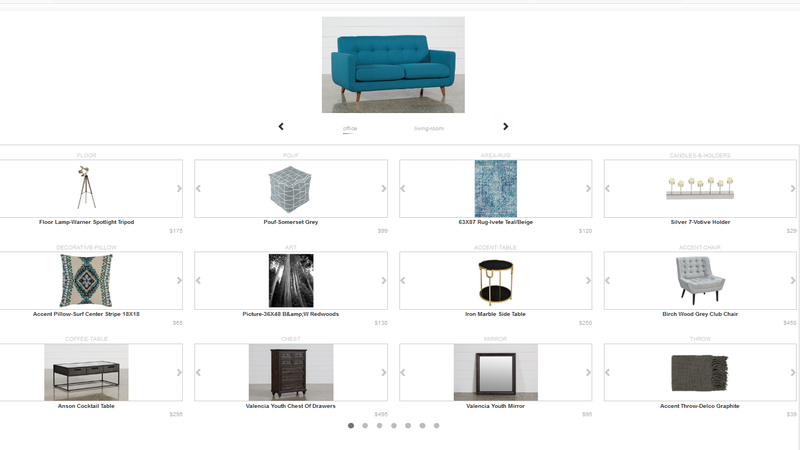 Shoptelligence’s Style Assistant provides visual inspiration in the form of rooms and outfits that show how the product under consideration can be used in multiple ways. Each ensemble is interactive and enables active shopper personalization, creating a dynamic curated shopping experience unavailable up until now. The AI-Powered Style Assistant generates a high degree of product relevance for shoppers and increases engagement that directly impacts the bottom line for retailers. Shoptelligence can go live and create value in weeks with just the retailers’ product data feed and a few lines of code on their website. The solution’s machine learning capabilities track and reveal granular shopper preferences, allowing the retailer to tailor personalized, cross-category user interactions at scale. Merchandising teams also realize vastly improved productivity in their assortment planning and simultaneously maintain control over their brand with Shoptelligence’s Merchant Assist module. The system automatically accounts for inventory, eliminating the risk of out-of-stock recommendations while enabling retailers to engage their customers more effectively and increase revenue. 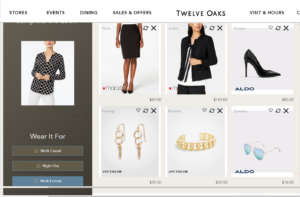 Shoptelligence recently deployed Interactive Ensembles, the initial module in the Shoptelligence Style Discovery platform through a partnership with Taubman to pilot the Virtual Mall Experience at Twelve Oaks Mall (Novi, Mich.). Visitors to the center’s website can discover products that are available locally for in-store pickup across participating retailers. When browsing for a particular item, the shopper is presented with options to create an outfit from a variety of retailers. Shoppers can also save previous purchases to establish a virtual closet that will continuously curate items and styles for future consideration. Shoptelligence is a trusted style discovery platform that empowers retailers with an AI Style Assistant that dynamically merchandises a collection of products (outfits, room décor) to help shoppers effortlessly discover new products specific to personal style across a retailer’s entire catalog. Shoptelligence blends the physical with the digital and integrates style inspiration with shopping across all channels at scale with national retailers. Shoptelligence is additive to a retailer’s existing conversion-oriented tools and is deployed via API with a few lines of code. The Style Discovery Platform has proven to enhance shopper engagement and measurably increase revenue and average order value. For more information, visit www.shoptelligence.com.